Held on Thursday 20th February at the Springwater Cantonese Restaurant we again held our successful customer race night, with nearly 400 people in attendance. All proceeds from the races go to local good causes, the evening raised £3,500. 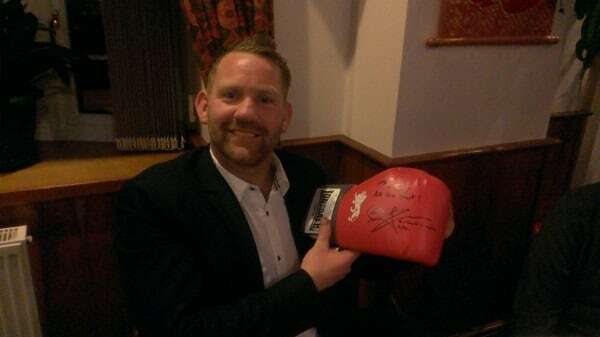 Including £340 raised from auctioning a pair of Carl Froch personally signed boxing gloves, won in an auction by customer Tommy Fearn. A big thank you to everyone who attended the evening and to Carl Froch our special guest.